Before someone knows you, they make judgements about you based on the things you do. That’s natural. After all, a potential friend needs to observe you a bit before deciding if they want to get to know you better. One way potential friends judge you is by watching what you do on social media. While some things are obvious (your latest Facebook rant isn’t going to wow your acquaintances) others are more subtle. Who doesn’t love a good selfie? Too many posts and you’ll overwhelm people, of course, but more than that, you need to give out a positive vibe when you post. 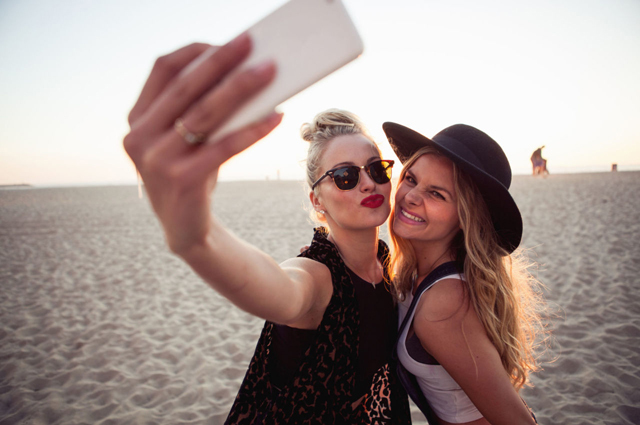 Researchers found that people who can pull off an upbeat selfie post will gain a silent kudos from acquaintances as people were more likely to assume someone is “agreeable” if the viewer felt like the person was putting out a good vibe. Many of these folks also held the camera lower as they took the picture, which shows that they are comfortable with people seeing them just as they are. The way you smile and the types of poses you generate can tell people whether you’re bookish, outgoing, have a sense of humor, or are open to new experiences. And it only takes a moment for an acquaintance to see you online and form an opinion. One study found with that a quick look at your Facebook or Instagram posts someone determines if you’re beautiful or even trustworthy. If you don’t want people to get the wrong impression of you, be careful what you post. While putting up pictures can help acquaintances get to know you, too many poorly chosen shots can prevent someone from making your friendship closer. If your feeds are loaded up with pictures of your pet, people will make generalizations about that, too. Post a lot of pictures of your dog and folks will know instantly that your pooch is a big part of your life. The same goes for your cat. So what, you say? Well one study found that if you’re a dog person acquaintances will think you’re more extroverted with loads of energy to spare. Cat people, on the other hand, were thought to have “control issues” and be generally introverted. How can you get past these assumptions? To some extent, you can’t. People are going to make the judgements they make about you. But if you’re posting photos that play into these generalizations, potential friends may use them to make a decision about whether or not to be friends with you. Before you get upset by this, realize that you do this, too. Judgements are often made in our subconscious and within just a moment of seeing someone’s Facebook posts or Instagram feed. Who could blame you for posting that picture of the flowers your hubby just bought you? Hashtag #besthusbandever! But wait, one study found that when someone gushed about their great relationship, people thought they were not likeable. Before you get discouraged, note that those who toned down their relationship-related posts to a “low disclosure category” (something like “I love my guy” or “my woman just made me an apple pie”) they were perceived as likeable. As you can see, when it comes to social media, subtleties mean a lot, especially with potential friends. The research mentioned here makes it possible for you to be mindful of the things you post, especially if your overall goal is to make a few new friends. A little self-awareness can help you see the ways you might be irritating potential friends on Facebook or going beyond smart Instagram etiquette boundaries. But don’t get obsessed or try to be something you are not. The only way to truly make friends is to get out and meet people in person. That way, when they see your pictures and posts on social media, they’ll be able to put it all in perspective.